showplace: yau ma tei community centre rest garden (banyan tree park)??????? 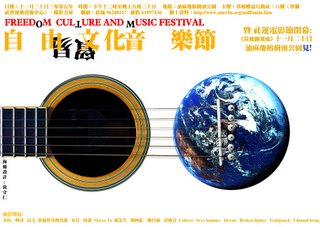 This year, the closing of the 3rd Social Movement Films Festival will coincide will the 3rd Freedom Music & Art Fair. Such arrangements intended to bring together view and thoughts on the global economic integration expressed in different means and medias. So that, mutual appreciation, communication and discussions could be facilitated. We’ve chosen the “Banyan Tree Park” as our venue for the closing screening and the fair because the place carries a strong local ambience and is a popular gathering point for the local neighborhood. Its location on the Public Square Street does have its symbolic meanings.